Oh, evictions, how you’re hated by all. Whether you’re the family being evicted or the property manager doing the evicting, you likely have a pit in your stomach at the thought. They’re stressful on all involved and can lead to more problems than they solve. Particularly for those property managers who work in a DIY setting, it’s easy to miss a step, or two, or even three in the eviction process. Evictions, like most everything else involved in managing a property, are in fact a legal issue that must be handled as such. What happens when you don’t follow the eviction laws in your area to a ‘T’, you may ask? Aside from paying potential fines or finding your troublesome tenants back in your property, you may be looking at getting sued as well. From following proper procedure, hiring a reputable locksmith company for lock change, and knowing when and how to serve the eviction notice, it’s imperative that you do things correctly. Avoid getting into trouble and causing more problems on your end by taking a look at these things you must know about evicting your tenant. As a property manager, you’re likely going to have one or two tenants that you don’t necessarily care for, but that’s not reason enough to evict them. 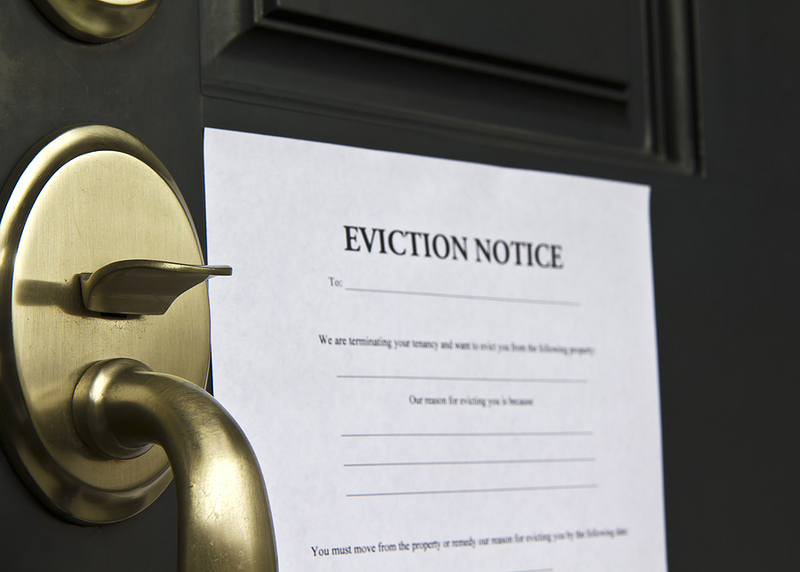 Make sure that you have a valid reason for evicting your tenant before you hand them the notice. All three of the above reasons are valid explanations for wanting to be rid of a tenant and begin the eviction process. Be sure that in any of these cases you have documentation proving the tenant’s late or refusal of payment. Also be ready to provide copies of all forms of communication about tenants wherein you’ve attempted to reach them about their rent, property damage, or criminal activity that might be taking place on your property. This must be done right and pay attention to the many laws involving evictions. If you have properties in multiple states, be aware that eviction laws vary from location to location, meaning that you’ll need to be very clear in your eviction notice and follow the laws for your state. If you fail to follow the eviction laws of your area you run the risk of having your tenants remain in the building. Read that again and really let it sink in: if you fail to follow the eviction laws in your area, your tenants can win reentry into your property. Not only does this add to your stress levels, but also it typically leaves your tenants angry and disgruntled, causing more problems than before. If you’re uncertain about your legal and contract-writing skills then contact your local leasing attorney who will help ensure that your notice is up to code. If you’re thinking that your tenants won’t be like the tenants you see on TV, then you may or may not be right. Take it from us; however, that we’ve seen our fair share of evictions that have ended in some angry tenants who do whatever they can to make things harder on the manager. For this reason, we highly advise investing in the help of a professional locksmith company. Along with the law enforcement agency overseeing the eviction, your locksmith will be on hand to make sure that you don’t break any laws while serving your notice. A certified locksmith will be able to pick the lock if your tenants have changed them, allowing you entry into your property and the ability to rekey when necessary. Be advised, however, that finding a certified locksmith is part of your responsibility as a property manager, as the use of an unlicensed locksmith will be considered burglary and potentially earn you a fine in the process. –Personal Delivery: Plan to bring a witness (such as law enforcement), employ a certified locksmith, and park your vehicles out of sight of the tenants for added protection. –Taping The Notice To The Door: Check your state’s specific laws about taping your eviction notice to the door, as this is not allowed in all states. –First Class Mail: Again, check with your state’s specific eviction laws as this will vary. Many states will require you to send an eviction notice by first class and certified mail to maintain a record of your eviction being sent and received. Remember, evictions are cause for heightened emotions for all involved, meaning that a failure on your behalf—as the property manager—will only add fuel to an already burning flame. Plan accordingly and contact those required beforehand so that you have the smoothest eviction possible. What are your tips for handling an eviction? Comment below with tips for making evictions go as smoothly as possible! #1 Ranked Locksmith On Yelp!